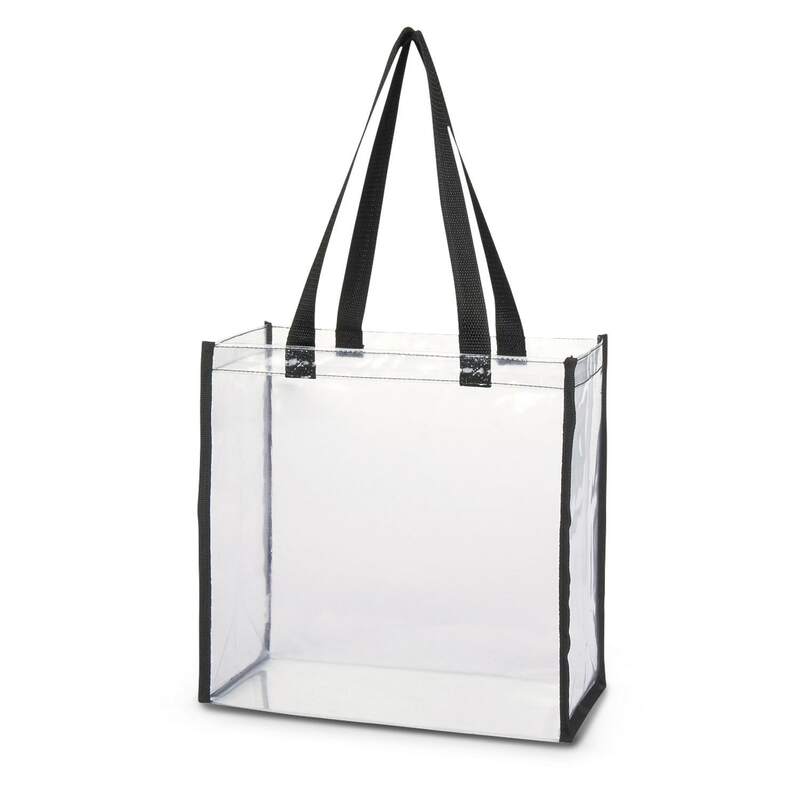 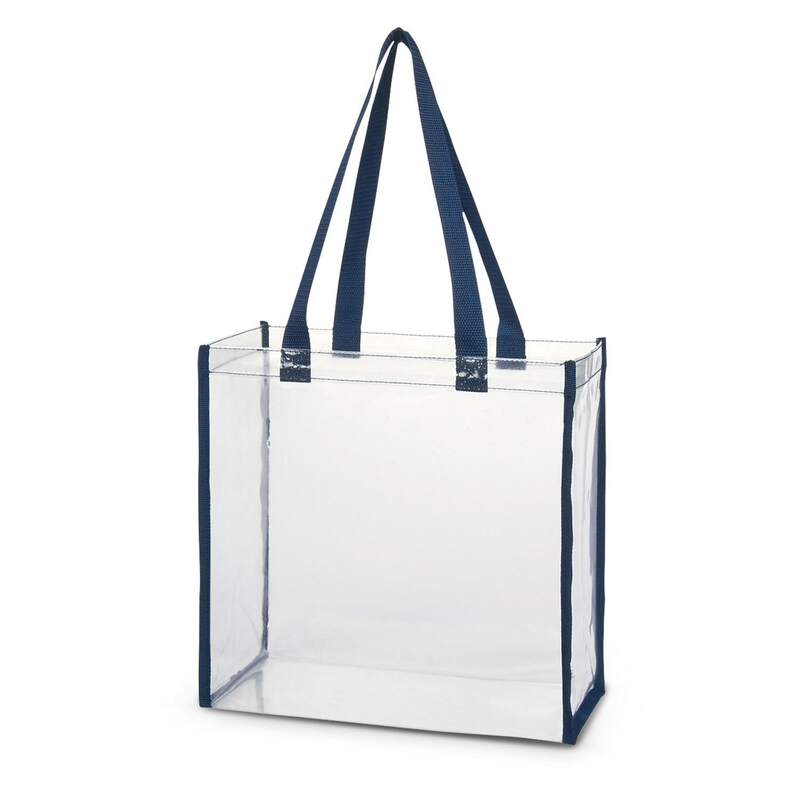 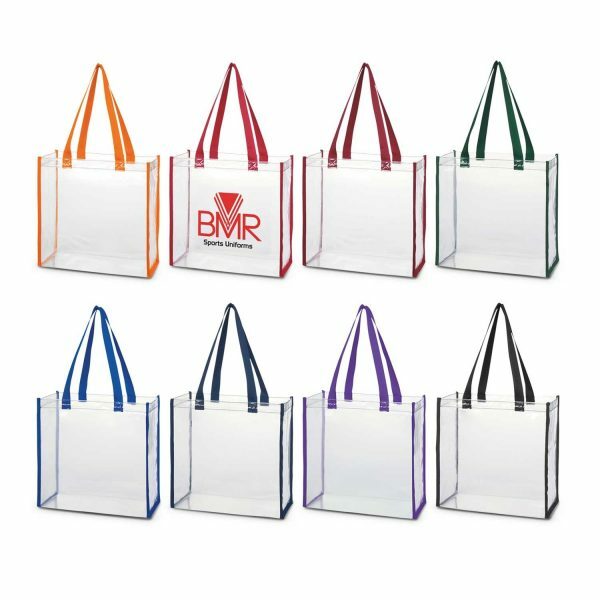 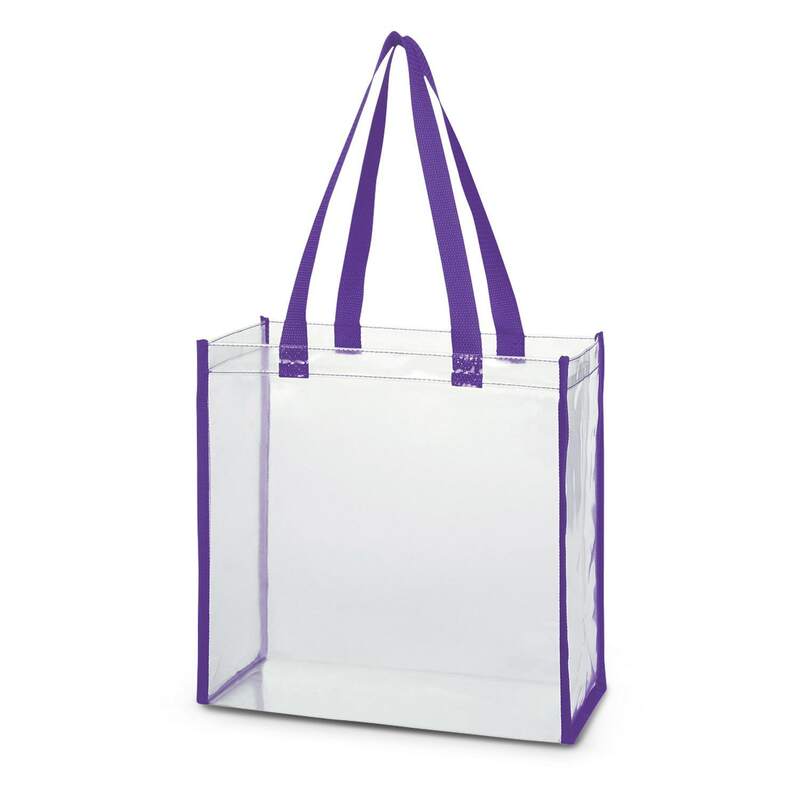 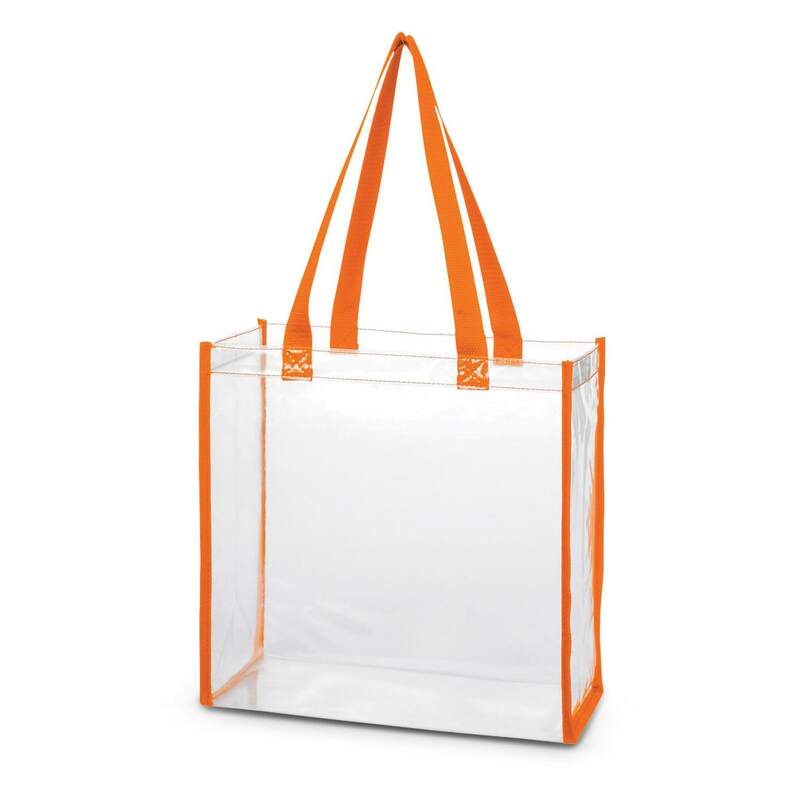 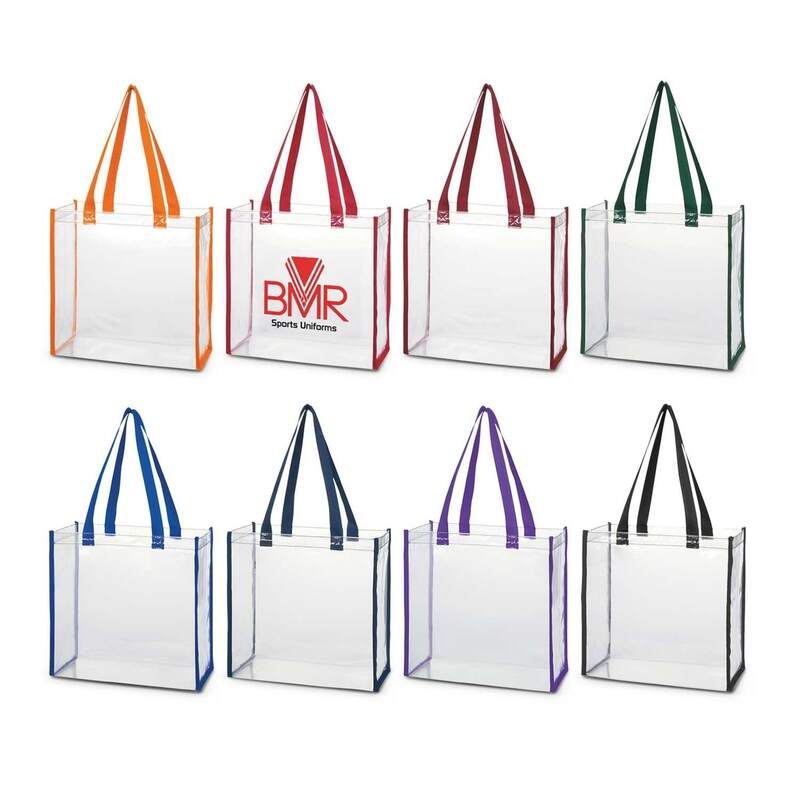 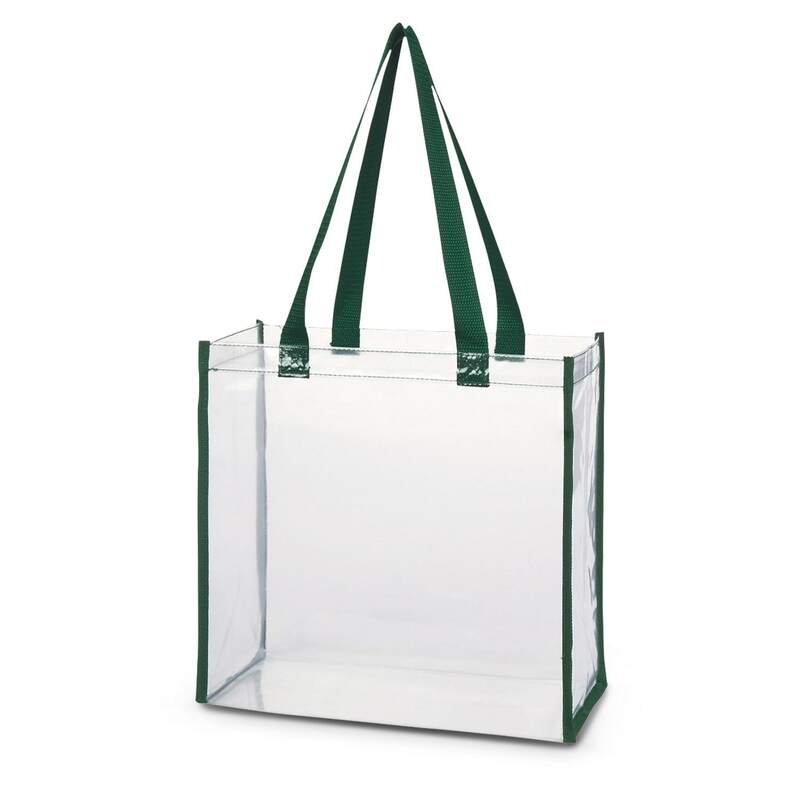 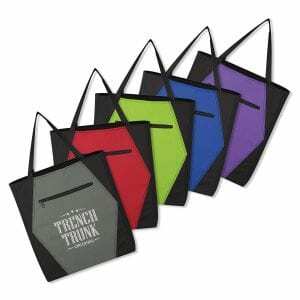 Futuristic tote bag which is manufactured from CPSIA compliant PVC with coloured trim and long handles so it can be carried on a shoulder. 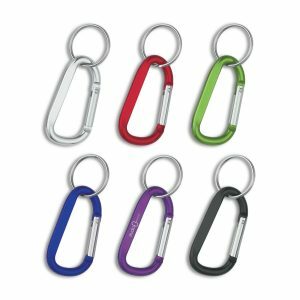 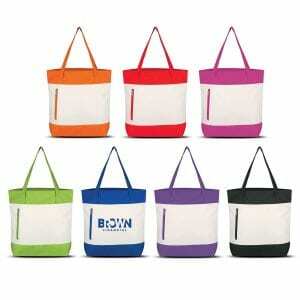 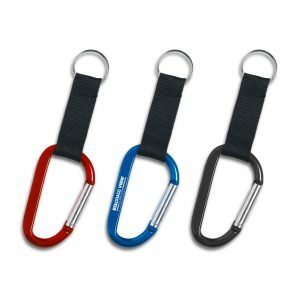 It is the ideal accessory for speeding up entry into events where bag searches are required. A production lead time of 10-15 working days applies to this product. 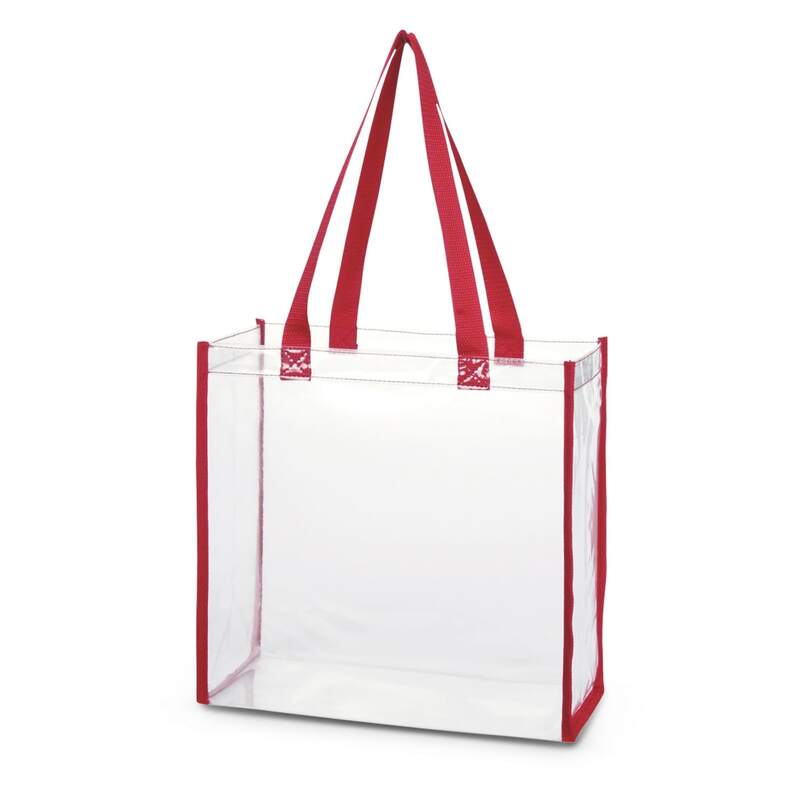 Screen Print +$0.00 /unit What is this?